Lying outside a Christchurch mosque, bleeding from a gunshot wound that tore through his chest, Abbas Tahir Endrise was unable to muster any words in what he feared was a final phone call to his pregnant wife. Now after intensive work by Christchurch doctors, he can breathe for himself and squeeze her hand. Abbas is one of 31 wounded survivors of Friday's massacre being treated at the city's hospital where teams of doctors, surgeons and nurses have worked around the clock to repair shattered bodies. Many of those brought to the hospital have been in and out of operating theatres multiple times, while their devastated families pray for them to pull through as they absorb the enormity of the attack. Zeynia Endrise said she was at home cooking on Friday when her phone rang, displaying her husband's number. All she could hear was someone having difficulty breathing, desperately attempting speech. 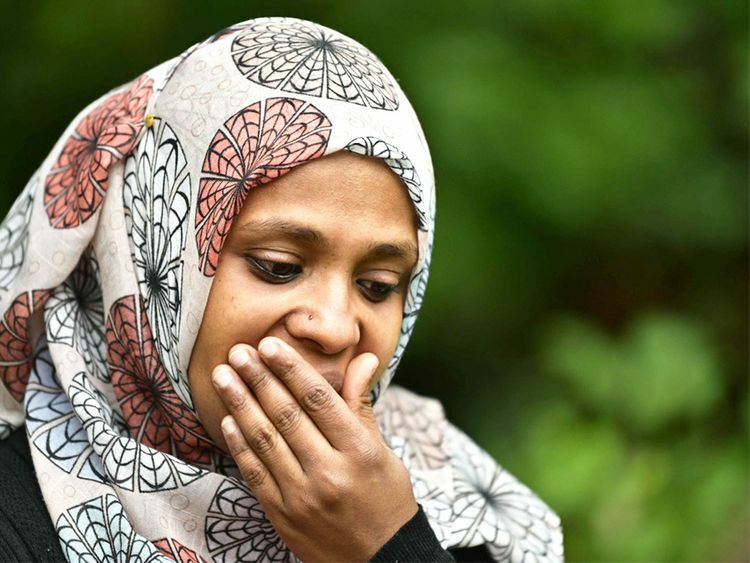 "He was trying to call, to talk to me but he couldn't," she told AFP outside the hospital where she has kept a vigil by her husband's bedside, willing him to survive for their two-year-old son Rayyan and another baby on the way in June. She initially thought he had been in a road accident, given he walked to the Al Noor mosque every Friday for weekly prayers. But when she phoned back, a woman with a New Zealand accent answered. "She picked up the phone and said 'Your husband was shot in his back'. Oh my god, I was really shocked, shocked, shocked. I didn't know what to do, crying and screaming," Zeynia recalled. Abbas had been standing in the front row of worshippers, close to the door where the alleged gunman Brenton Tarrant, a self-confessed white supremacist, burst in and sprayed semi-automatic rifle fire, according to witness Abdul Kadir Ababora. "He was on the left side on me, on the first line. There was no way to escape for him," said Ababora, who miraculously emerged unscathed after wedging himself against a bookshelf that usually held Qurans. One of Tarrant's bullets struck Abbas in his side, smashing through his ribs, tearing through the right lung and exiting out of his shoulder. The bullet passed so close to his head on the way out that it grazed his right ear. Somehow Abbas managed to pull himself out of the mosque and call his wife, before collapsing. He was rushed to hospital where doctors battled to save his life. The past three days have been an unending horror for Zeniya. She shuttles between her husband's bedside, surrounded by flashing machines and tubes, briefings with doctors and then spends evenings fielding frantic calls from relatives - all the while looking after Rayyan. Abbas was desperately ill, in critical condition at the intensive care unit. But hope began to emerge late Sunday when he opened his eyes for the first time. Zeynia took his hand and he gently squeezed it. Then on Monday doctors withdrew his breathing tube. "They just took out the oxygen and he started to breathe right now. He's opened his eyes, he can see me, hold my hand. But he still can't talk to me," she said. 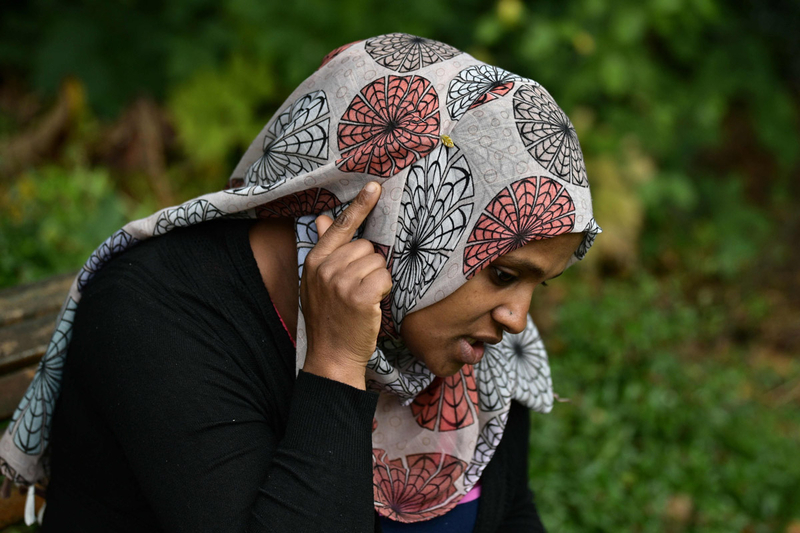 Zeynia, 34, arrived in Christchurch in 2010 from the northern Ethiopian town of Bahir Das. She worked long hours as a cleaner and eventually got citizenship. Abbas, from the nearby city of Gondar, came five years later, gaining permanent residency and was hoping to get citizenship soon. He had recently begun working Zeynia's cleaning job as she looked after their toddler and prepared for the arrival of their next baby in the summer. Neither could have imagined anyone living in their usually welcoming adopted homeland might harbour such hatred towards Muslims. "We always thought we are safe," she said. Zeynia once suggested they look at moving to Australia, where the pay tends to be a bit higher. But she said her husband was adamant they had found a place to call home. "I really like New Zealand, I want to stay here," Zeynia remembered her husband saying when she floated the idea. "'New Zealand is very safe, we are here forever', he said." That feeling of safety has now been irrevocably changed. Unable to sleep late Friday night - and at that point uncertain if Abbas would make it - Zeynia decided she needed to see the video of the massacre that Tarrant had recorded and broadcast live on Facebook. It didn't take her long to find it online and she watched in horror at what her husband and so many others went through. Asked whether she had anything to say to the shooter she paused. "I don't have any words to say. It's not humanity. Babies killed, three or four of them, that's not humanity. A boy three years (dead). I don't have words."